Have you ever dream of going Hong Kong? Realise your dream by participating in Tiger White’s latest online contest, ‘An Experience that Elevates’ to stand a chance to be among the winners pursuing the road in Hong Kong with Tiger White. Echoing with the notion “A Taste That Elevates”, this four days three nights stay is packed with activities that aim to stimulate all senses. Winners will discover a side of Hong Kong that few have ever seen, hosted by a renowned local graffiti artist. On the agenda is a personalised tour of local street art and culture, while discovering hidden street food gems and hole-in-the-wall eateries that take no reservations. Winners will also have their senses elevated further by being treated to exclusive Tiger White infused cocktails created especially for them in some of Hong Kong's most unique speakeasy bars. Sounds interesting? 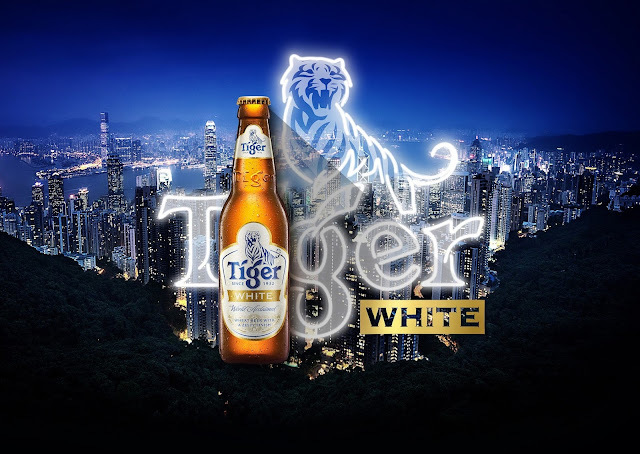 Hurry, log on to www.facebook.com/tigerbeermy to participate now and look for Tiger White’s contest post to answer a simple question derived from a 360o photo. There will be four different contest postings over the course of six weeks starting today until 30th April for consumers to participate.